Louie Giglio is Pastor of Passion City Church in Atlanta, Ga, and the Founder of Passion Conferences, a movement gathering collegiate-aged young people since 1997 in events across the US and around the globe. 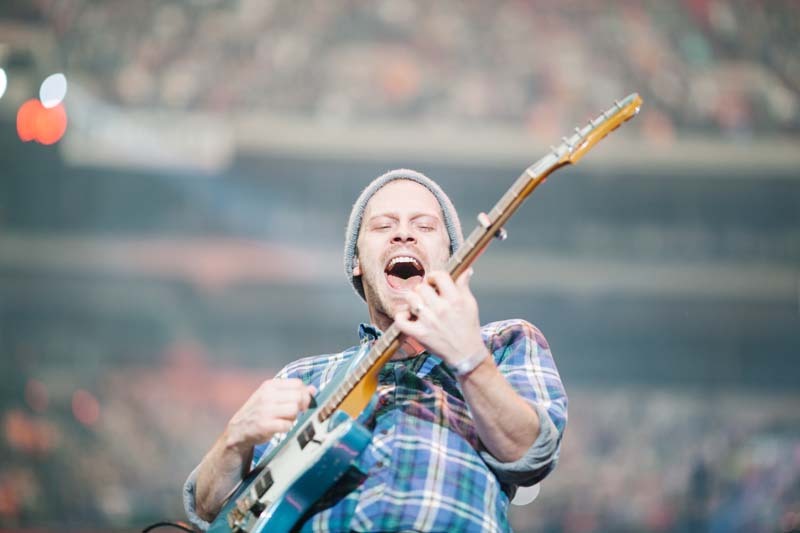 Most recently, Passion hosted over 60,000 people at Passion 2013 in the Georgia Dome, uniting students in worship and prayer, and raising awareness for modern-day slavery. In 2008, Louie and his wife Shelley led the team that planted Passion City Church, a local community of faith with the DNA of the Passion movement. Their desire is to inspire this generation to live for what matters most. With songs including "How Great is Our God," "We Fall Down," "Holy is the Lord," "Forever, "Our God," and most recently, "Whom Shall I Fear," to name a few, Chris Tomlin continues to write songs that help people voice their worship to God. With nine records, numerous No. 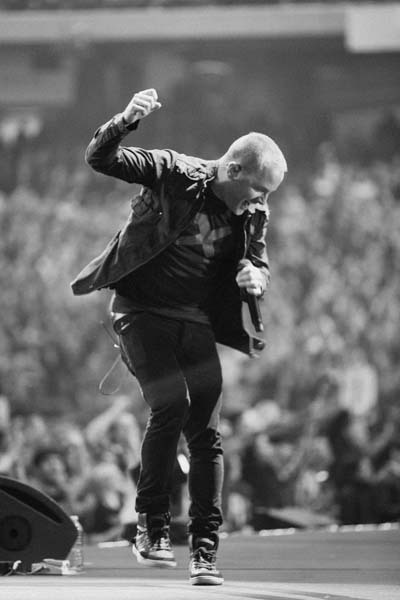 1 radio singles, a GRAMMY® Award, 18 Dove Awards, one platinum and four gold albums to his credit, Chris Tomlin is among the most well-known and influential artists in music. Tomlin is the worship leader at Passion City Church and continues to tour many dates each year, playing regularly at Passion Conferences in the United States and worldwide. John Piper is founder and teacher of desiringGod.org and chancellor of Bethlehem College & Seminary. For 33 years, he served as senior pastor at Bethlehem Baptist Church, Minneapolis, Minnesota. He grew up in Greenville, South Carolina, and studied at Wheaton College, Fuller Theological Seminary (B.D. ), and the University of Munich (D.theol.). For six years, he taught Biblical Studies at Bethel College in St. Paul, Minnesota, and in 1980 accepted the call to serve as pastor at Bethlehem. John is the author of more than 50 books and more than 30 years of his preaching and teaching is available free at desiringGod.org. John and his wife, Noel, have four sons, one daughter, and twelve grandchildren. As the David Crowder*Band has now put a period at the end of its sentence, a new chapter is emerging for front-man, David Crowder. As the next paragraph begins, David Crowder will take the stage performing with his new collective, simply called, Crowder. Fans can expect more of what they've always loved about David Crowder through the years - the songs, the worship, musical innovation - and now they get to be a part of the new beginning. Named among the “most thoughtful, progressive and exciting acts in contemporary Christian music” by The New York Times, the popular yet unconventional David Crowder*Band unveiled their final collection of new music this year with the release of Give Us Rest or (a requiem mass in c [the happiest of all keys]). As the follow-up to the GRAMMY ® nominated Church Music, Give Us Rest gave the band the highest debut of their career selling over 50,000 units in one week, landing them in the No. 2 spot on the Billboard Top 200. David Crowder*Band’s music video for “SMS (Shine)” nabbed coverage on NBC’s The Today Show, Fox & Friends, USA Today, Billboard and Paste Magazine online as well as a GMA Dove Award win for “Short Form Video of the Year.” The video was also recognized at the LA Film Festival in 2011. Along with the group’s 9 GMA Dove Awards and 22 nominations, the band was the first Christian artist to be named MSN.com's Artist of the Year in 2006. David Crowder*Band most recently released, All This For A King: The Essential Collection, a collection of songs spanning their career with a new track from Crowder titled, "This I Know." Crowder is part of the Passion Movement, participating in university student gatherings in the US and around the world. Known for her ability to communicate profound messages of hope and inspiration, Christine Caine has a heart for reaching the lost, strengthening leadership, championing the cause of justice, and building the local church globally. She is a member of the leadership team at Hillsong Church in Sydney, Australia, and also directs Equip & Empower Ministries. In 2008, Christine and her husband, Nick, founded The A21 Campaign, an organization dedicated to addressing the injustice of human trafficking. The A21 Campaign’s comprehensive approach includes raising awareness, preventing future trafficking, taking legal action, and offering support services to survivors. Christine Caine is an avid believer in the hope-giving power of the local church, she is the author of A Life Unleashed, The Core Issue; Run To Win, and Can I Have (and Do) It All, Please? Matt Redman's songwriting is synonymous with integrity and continues to impact churches around the world. Leading a generation of worshipers, his songs have been recorded by Chris Tomlin, Michael W. Smith, David Crowder*Band, Rebecca St. James, Tree 63, Kutless and Passion among others. A key songwriter for today's church and an active worship leader for Passion conferences around the world, Redman has a history of success having garnered two GRAMMY Awards and an ASCAP Award for the song, "10,000 Reasons" and additionally, eight Gospel Music Association Dove Awards. Redman has 29 songs in the CCLI Top 500, with 3 populating the Top 5 and 6 in the Top 50. Francis Chan is the best-selling author of books, Crazy Love, Forgotten God, Erasing Hell and the host of the BASIC.series (Who is God & We Are Church). He has also written the children’s books Halfway Herbert, The Big Red Tractor and the Little Village and Ronnie Wilson’s gift. Francis is the founding pastor of Cornerstone Church in Simi Valley, California, and is the founder of Eternity Bible College. He also sits on the board of directors of Children’s Hunger Fund and World Impact. Currently, Francis is working to start a church planting movement in the inner city of San Francisco and also working to launch a countrywide discipleship movement. Francis now lives in Northern California with his wife, Lisa, and their five children. Christy Nockels has long had a huge appreciation for music and the role it plays in the kingdom of God. 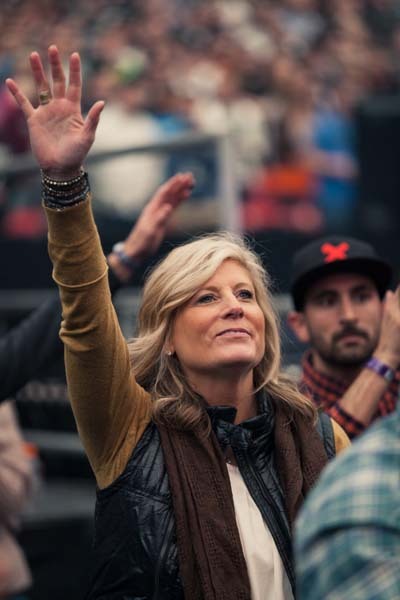 As a worship leader for many years, she has been an integral part of Passion Conferences from its inception in 1997. She's seen first hand music sweep people into the presence of God in a powerful way. On her sixstepsrecords release, Into the Glorious, Christy's prayer is to further explore biblical truths that elevate our worship and bind us in our hearts even closer to our creator. Christy believes that her calling in life "is to be a songwriter for my generation to proclaim Jesus' renown." Kristian started leading worship at North Point Community Church in Alpharetta, GA in 2002. It was there he met Louie Giglio, who, in the fall of 2004, asked Stanfill to lead worship for 7:22, a popular weekly young adult gathering. In 2005, he became actively involved with the Passion movement, first leading a community group at Passion 05, a conference for university students, then as a lead worshiper at Passion 06. In 2008 he led at both Passion Regionals USA and on the Passion World Tour and joined the sixstepsrecords family in 2009. He introduced listeners to his music with his 2009 debut, Attention, which received critical acclaim from critics across the board. Kristian teamed up with award-winning songwriter Jason Ingram and Rusty Varenkamp to release his sophomore album, Mountains Move. In 2013, Passion featuring Kristian Stanfill released the song, "One Thing Remains" from Passion: White Flag and topped the Christian Radio charts for a multiple weeks. He currently lives in Atlanta where he serves as a worship leader at Passion City Church.